Hey Y’all! Long time, no post! 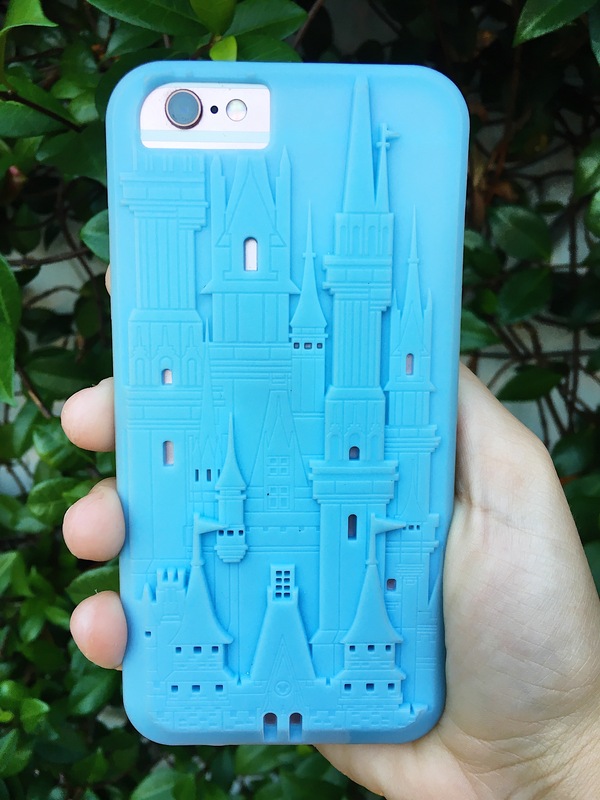 So the very first thing I got was this light blue, castle phone case from the World of Disney in Disney Springs! I am absolutely in LOVE with this case! The windows are actual cut outs in the case and so all my windows are pink from my rose gold iPhone! Also, it has great coverage and the front has edges so there is a bumper! 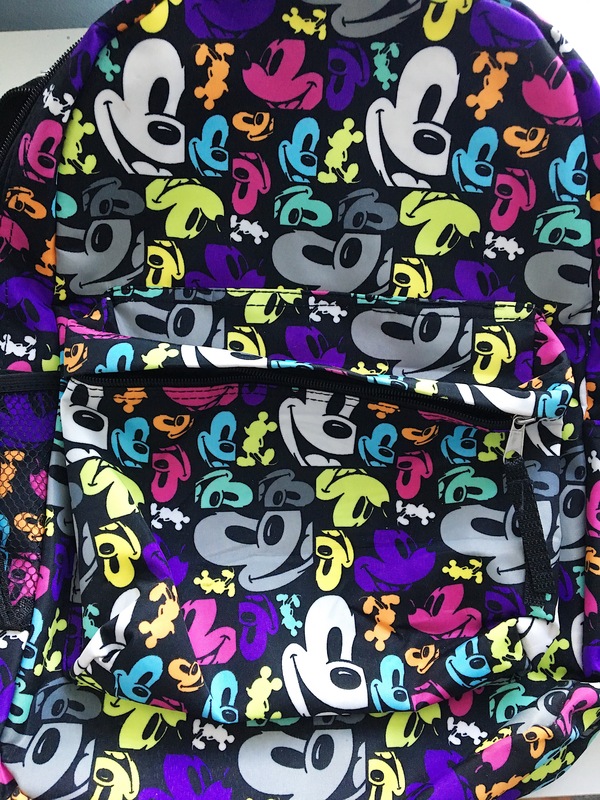 So we got back to our room and found out our plane company lost a piece of our luggage so we had to get a backpack for the park….and we picked up this super cute Mickey one in our resort’s general store! It has a larger compartment as well as a smaller one in the front and a netted side pocket. We used it for the remainder of our trip (even after we got our luggage back) because we loved it so much! My mom’s tennis shoes for the park were in the lost piece of luggage so we also had to try and find some better shoes for her. 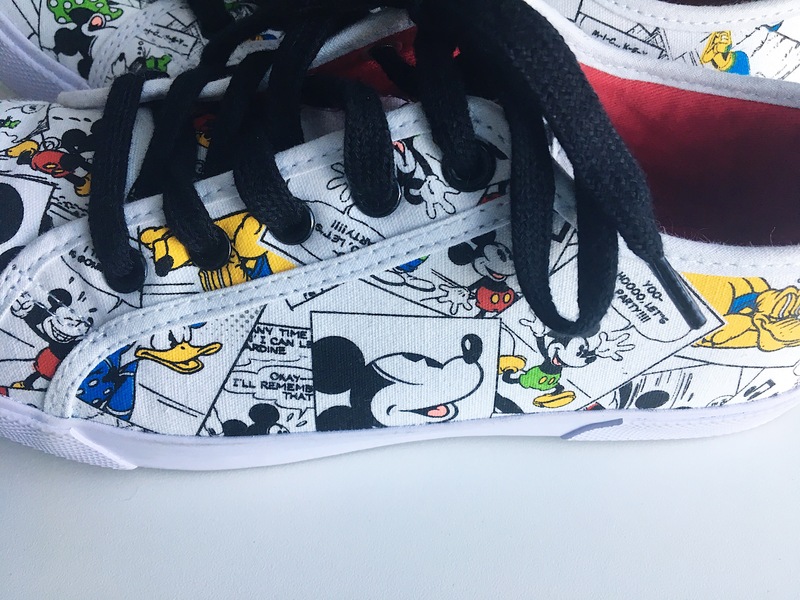 We ended up finding this super cute Mickey + friends comic shoes in the general store as well and they are super comfy! 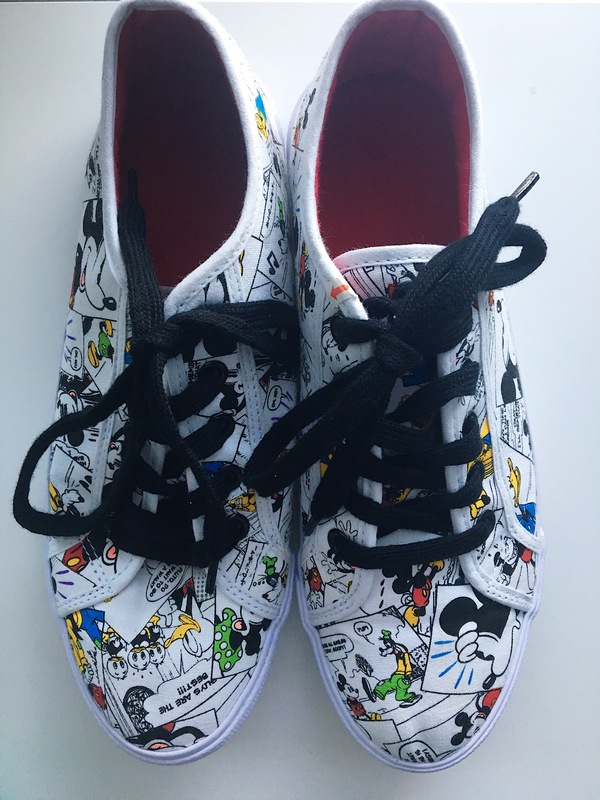 Thank goodness we were able to get our luggage back halfway through our first day so we got everything back, but we did gain these super cute shoes and my mom said I can have them! 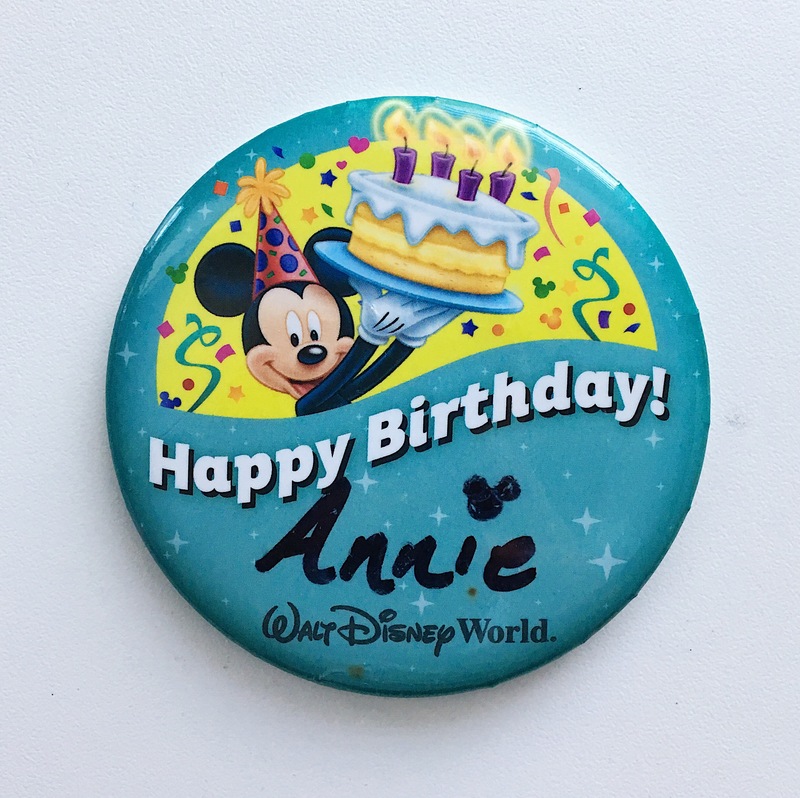 We didn’t buy this but one of our super awesome Cast Members at our resort gave me a pin for my birthday and I just thought it was super cute! I wore it the whole time we were there + everyone was so nice and told me happy birthday whenever they saw me! 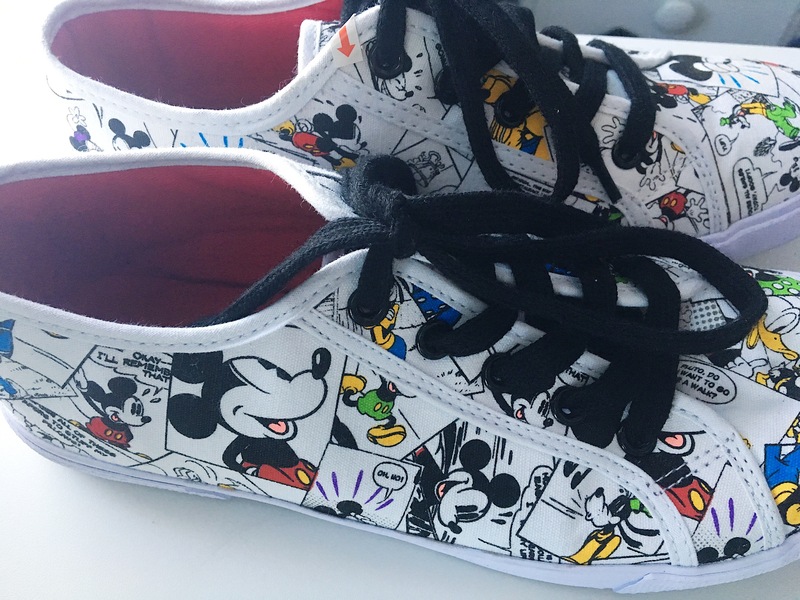 If you’ve read my blog before, you probably know that I am an avid Disney pin collector! I got a whole bunch of new pins while on this trip and I even had to get a new lanyard because my original one was already completely full when we arrived! 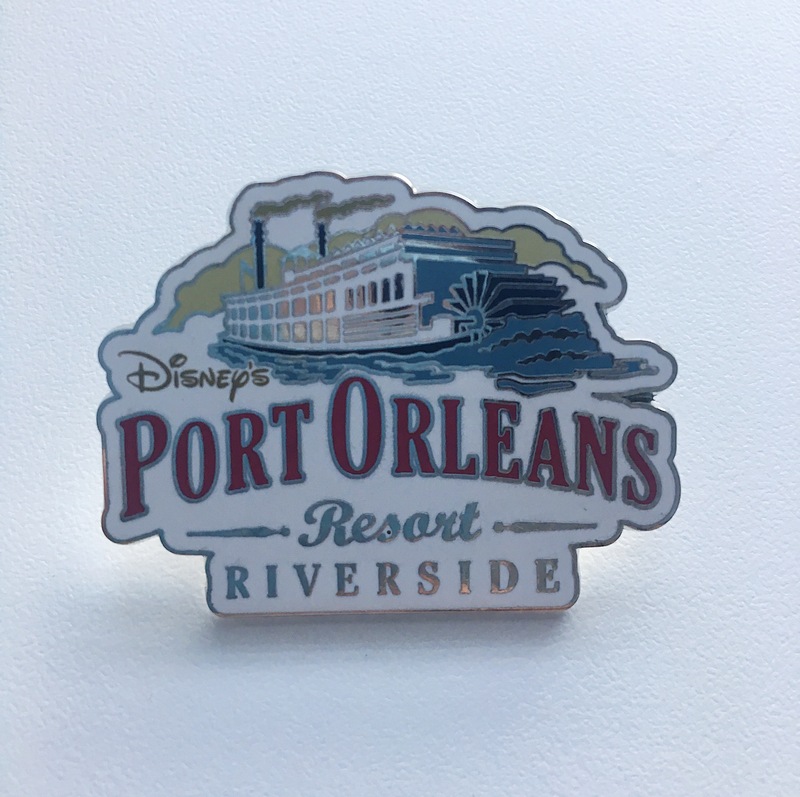 The first pin I got was this one from our resort’s general store! We stayed at Port Orleans Riverside Resort and we absolutely loved it! It was very pretty and we had a great time! So I needed a new lanyard for all of my pins and when I saw this one in the hat and pin store on Main Street, I knew I had to have it! 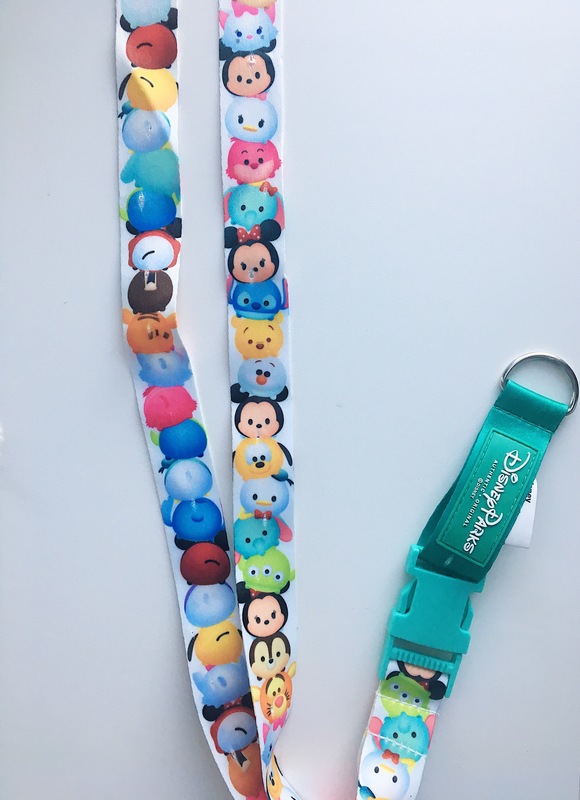 I LOVE Tsum Tsums, and this lanyard was just so cute! I love how the front is all of the characters’ faces and then the back is their little butts and tails! It is also super thick so it holds up well with all the weight from the pins! 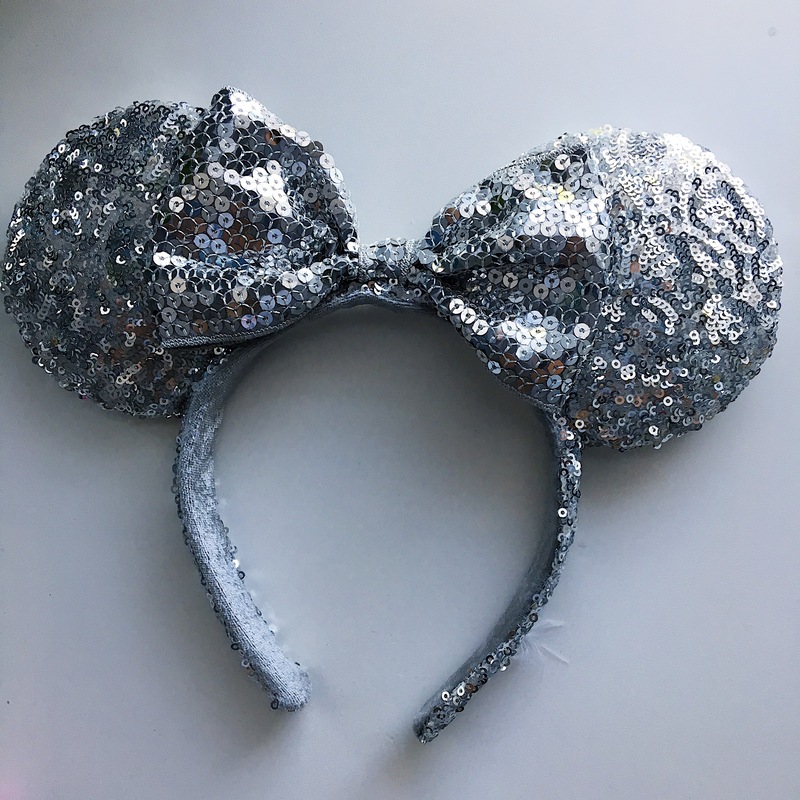 My mom and I got matching silver Minnie ears as well! We fell in love with all of the sparkles and both agreed that this was the perfect pair to get matching ones of! We wore them the whole time and then with our matching Jadelynn Brooke “Happy Place” shirts on the last day! We both absolutely LOVED our JLB “My Happy Place” shirts! We got compliments on them the whole second day and they were just oh so comfy! 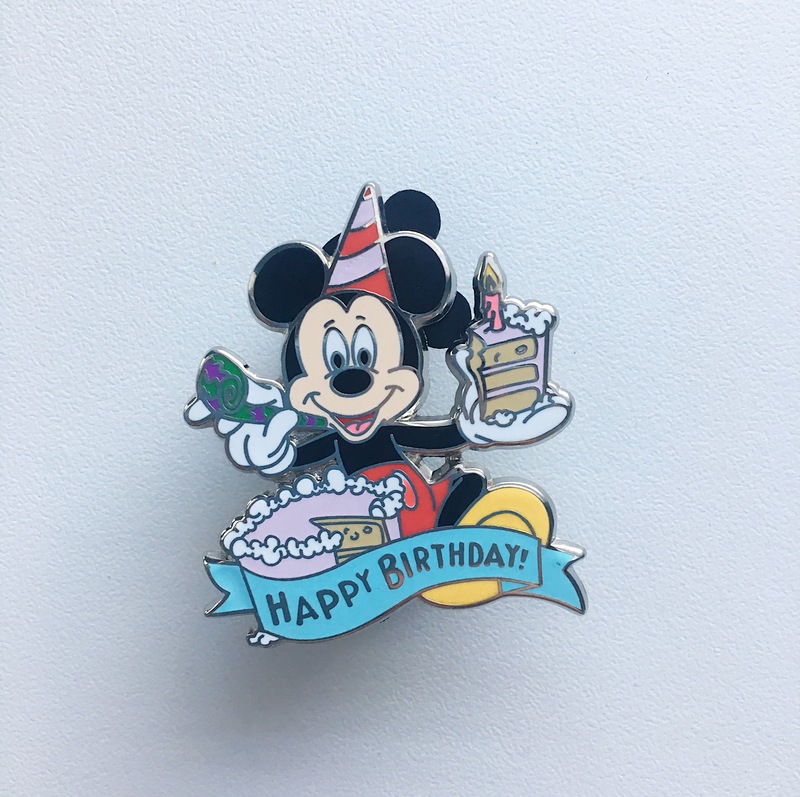 My second pin I got was this Happy Birthday Mickey pin! My mom said this was a must have since we were there for my birthday! This one even came in a little present box instead of the normal pin packaging! Our first day, we went for character brunch at the Grand Floridian and of course I had to stop in it’s gorgeous preppy store! 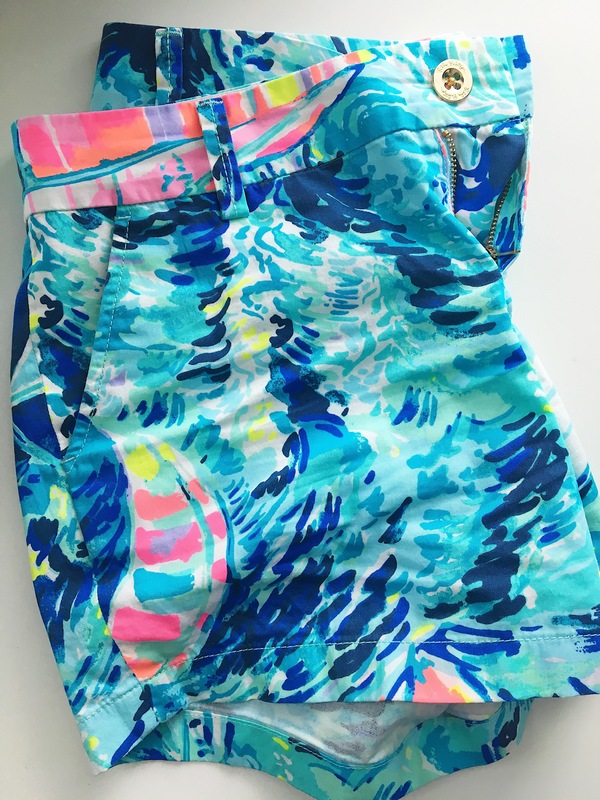 I saw these Lilly “Hey Bay Bay” shorts and I knew I needed them! 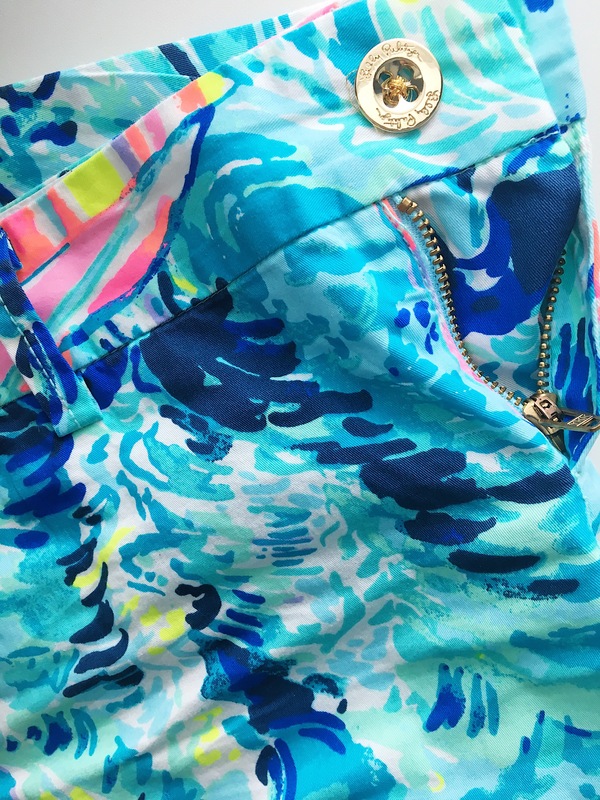 They are so comfortable and I can’t get over this darling print! Also, the 5″ is such a perfect length! So the next two pins I got were a Belle and a Mary Poppins. 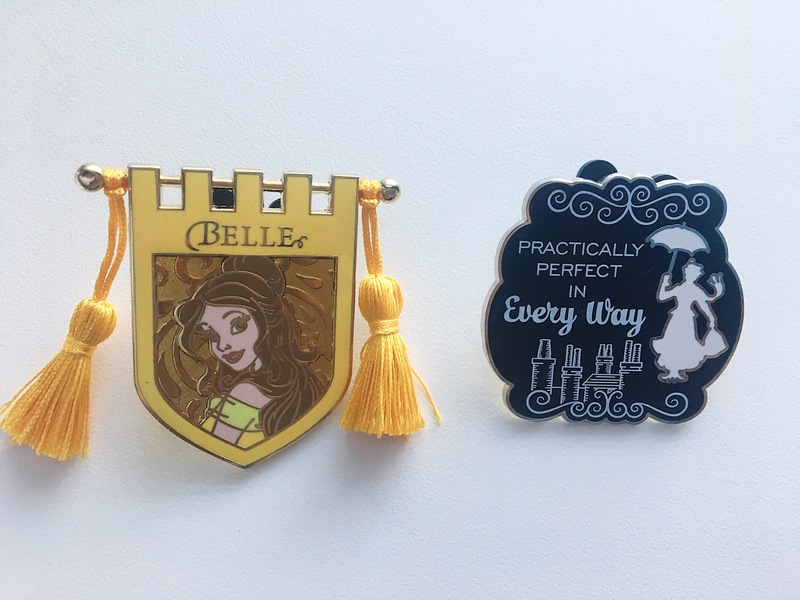 The Belle one is almost like a castle banner and has hanging gold tassels with her name and picture on the banner. (I had to grab this one because she is my favorite princess!) And then the Mary Poppins is a very simple black and white silhouette that says “practically perfect in every way” and has her floating away with her umbrella over the city skyline! I got to meet Mary Poppins at brunch and she was such a doll! 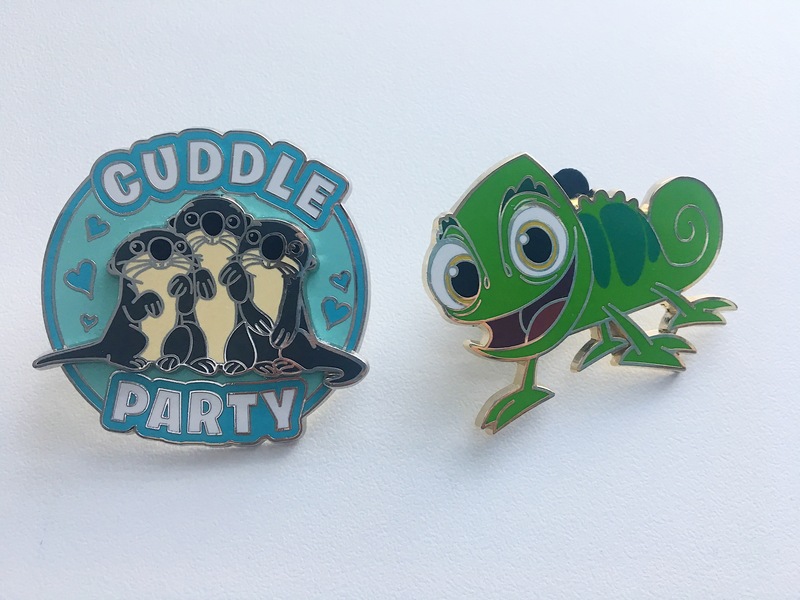 My next two pins are the cuddly otters form Finding Dory and Pascal from Tangled! Finishing Dory has become one of my favorite movies and the Otters were one of my favorite parts! They are just so cuddly and irresistibly cute! I also had to snag a Pascal because he was just way to stinking cute not to grab! 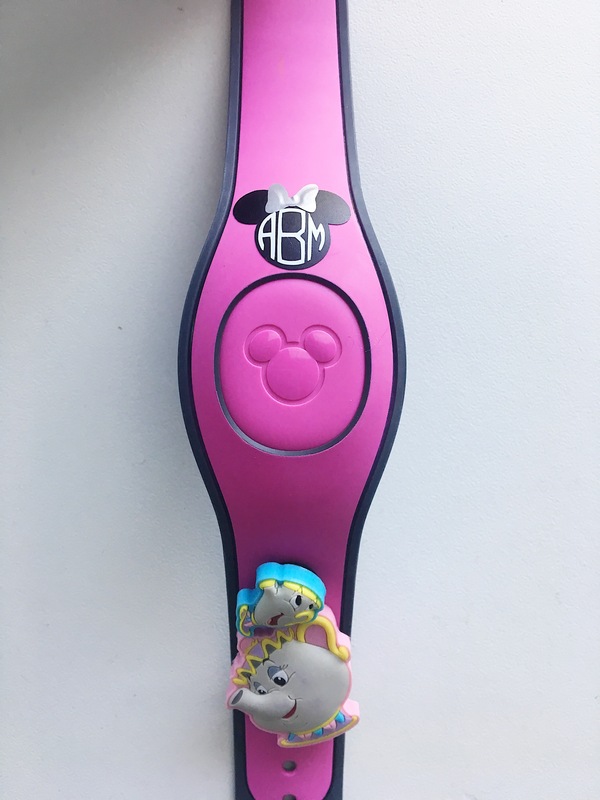 My mom and I had magic bands for this trip and she found these adorable Minnie monograms for us! I got this cute Minnie one with a silver bow and hers had a pink bow! Also, we found these adorable Beauty and the Beast charms for our magic bands! I had to have Mrs. Posts and Chip because I just adore them and my mom had Lumiere and Cogsworth because they are her favorites! 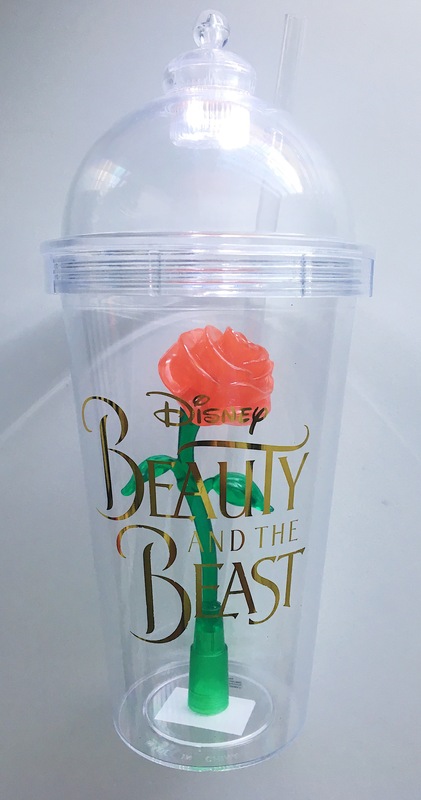 Okay so Beauty and the Beast is my all time favorite Disney movie…and I remember when these Enchanted Rose Cups came out after the premiere of the Live Action Beauty and the Beast movie and they sold like hot cakes! Thankfully they had an abundance of these because I have been dying to have one since they came out! I can’t get over the fact that each one lights up in a ton of different patterns and I am so happy I got one! When I went into the Beauty and the Beast shop next to Gaston’s tavern I was overjoyed because it is actually so hard to find Beauty and the Beast merchandise through the rest of Magic Kingdom! I mean a whole shop with just Beauty and the Beast merchandise? That’s basically heaven for me! 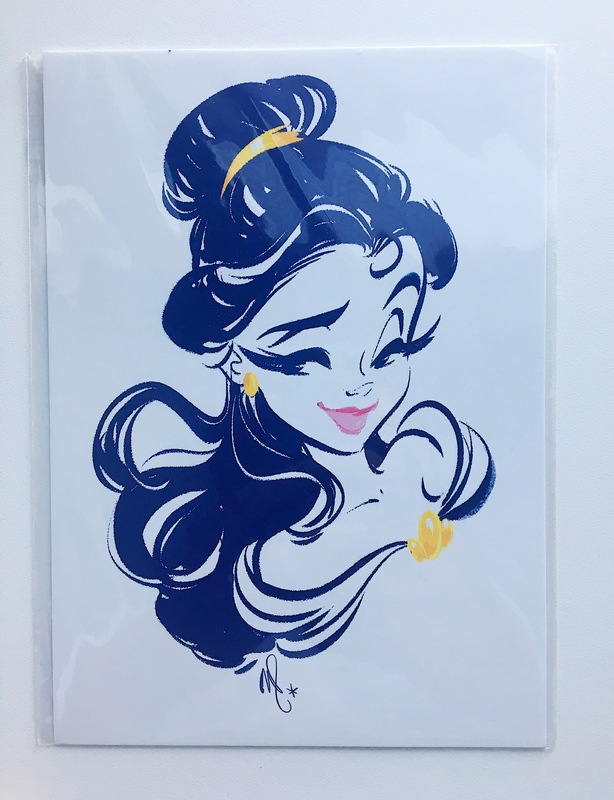 And then, seeing this adorable art print/postcard of Belle made me even happier! I can’t wait to frame this! I also grabbed a Beauty + the Beast mystery pin set at the shop and I ended up getting Lumiere and Gaston. 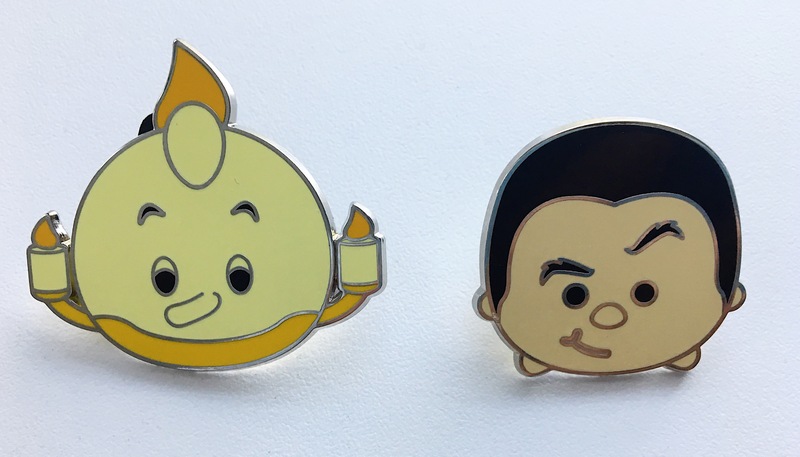 Both of these are so cute and Gaston’s eyebrows are just so funny!! When my mom and I went to Disney Springs, we went into the Disney Living store and it was so cute! 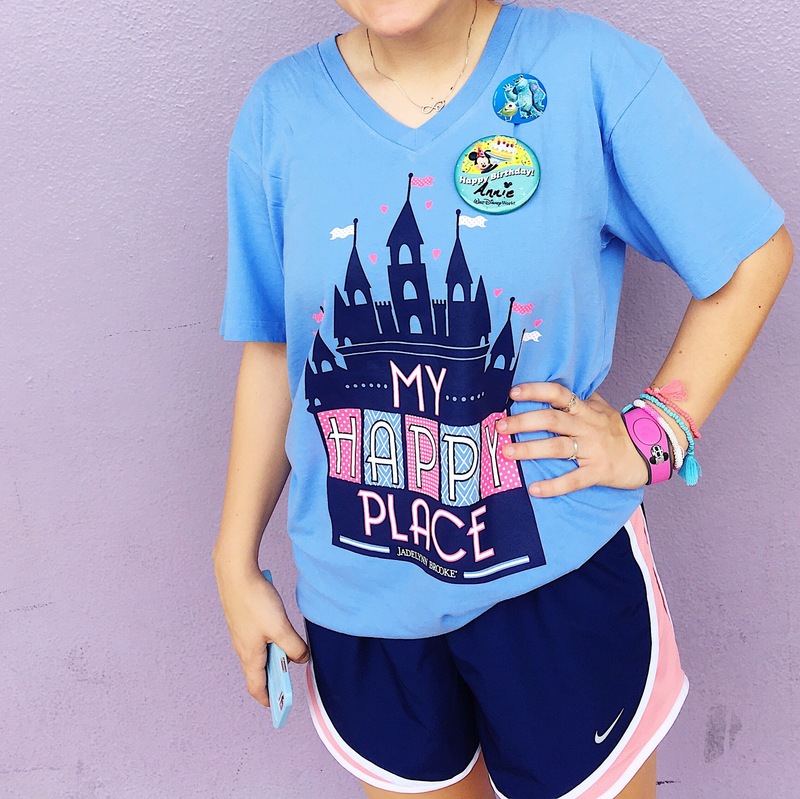 There were so much cute Disney Decor and also this insanely PERFECT shirt! 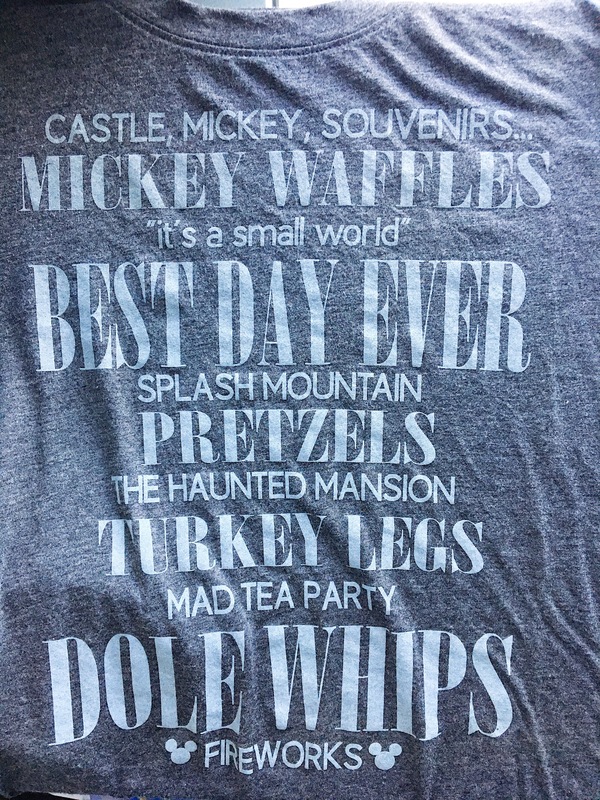 I mean can you have a more perfect shirt to describe Disney than this?? This shirt is also crazy comfortable and soft. I loved the Pin shop in Disney Springs! 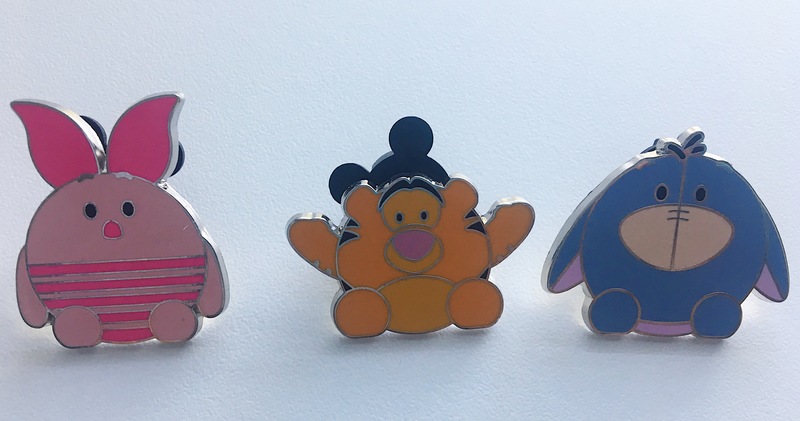 I got 3 of those individual mystery pin packs that are next to the cash register and I managed to get all Winnie the Pooh characters! I was most excited about the Eeyore because he is my all time favorite character! 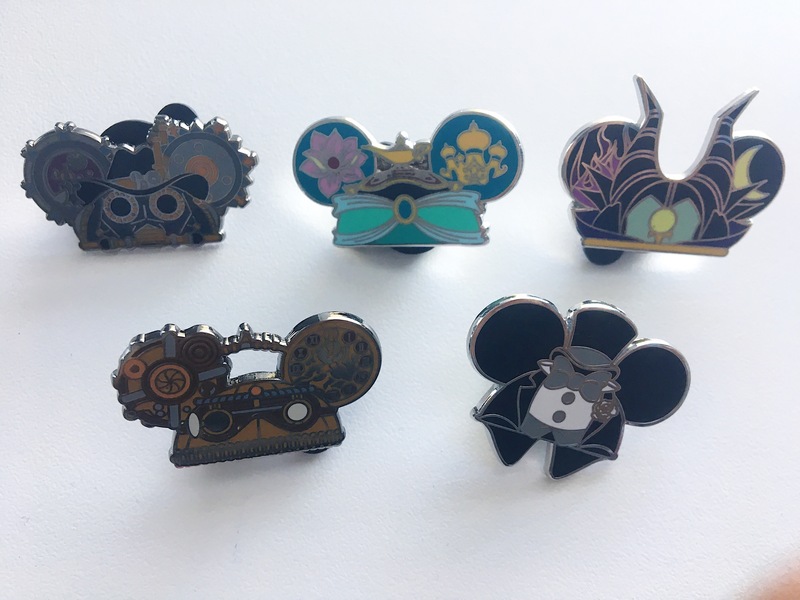 Oops more pins…haha! This was a super cute pack! 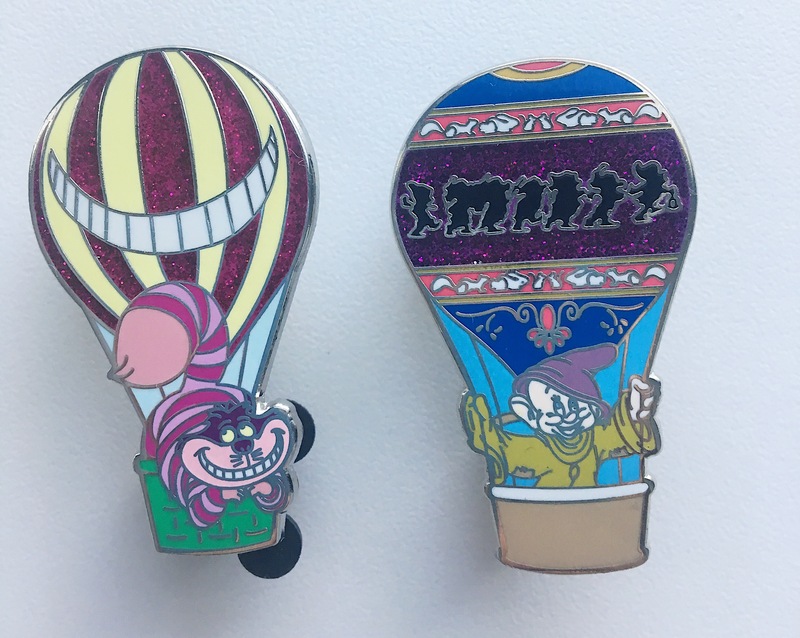 It was a box that included two out of a set of about 10 or so hot air ballon Disney character pins. I ended up get the Cheshire Cat and then Dopey and both of their balloons are super cute! 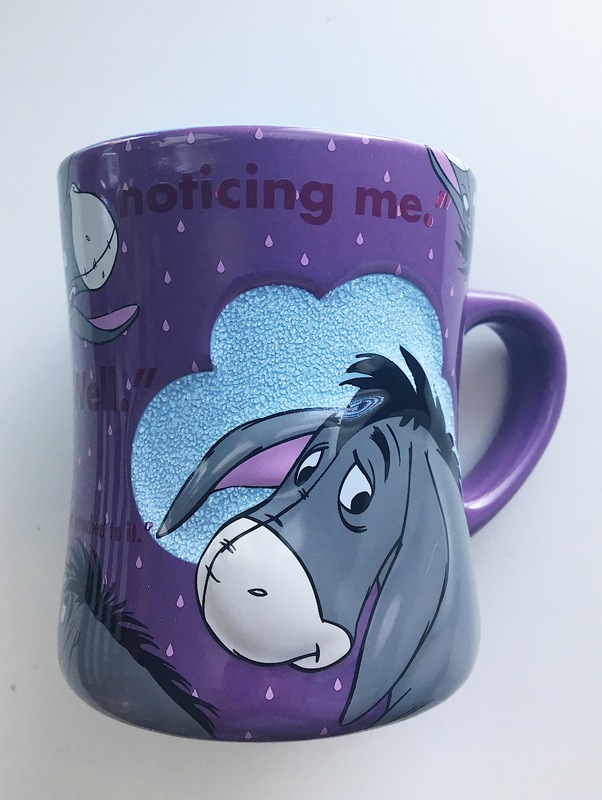 Continuing on with my Eeyore theme…I got this super cute Eeyore mug from the Hundred Acre Woods shop after the Winnie the Pooh ride! 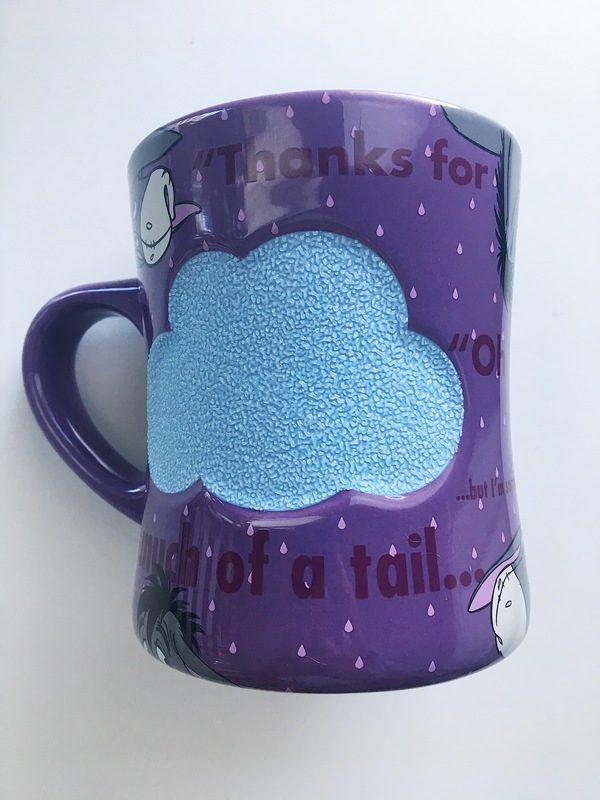 It just has all of his (slightly depressing) quotes on it and has little rain clouds. Everyone seems to think it’s weird that I like Eeyore since he is supposed to be the sad and depressed one but I absolutely adore him! He just has so much wisdom and is so cuddly! Wow look! Another Eeyore ahaha! 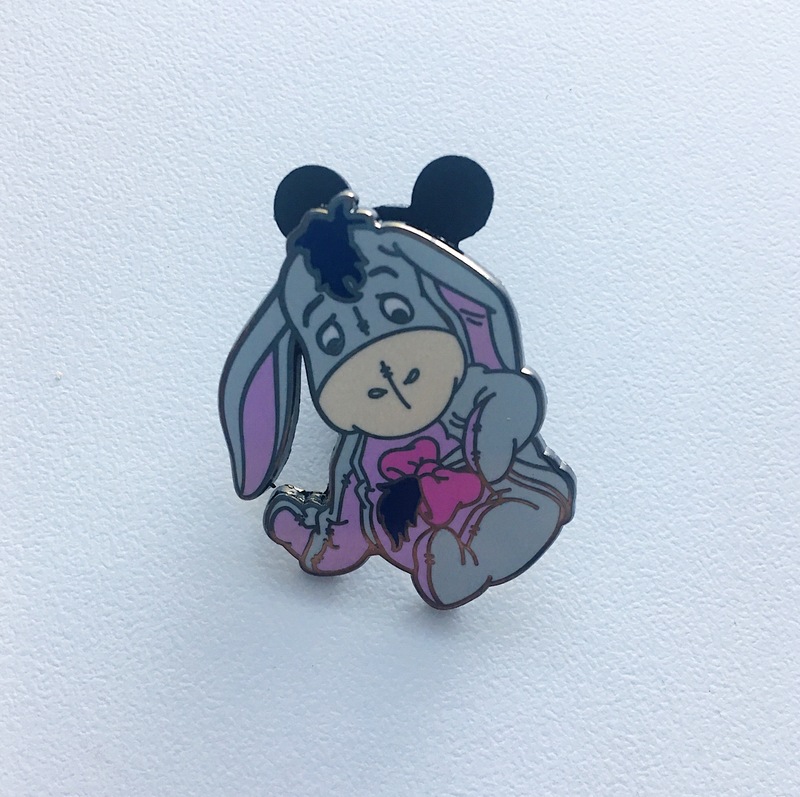 Sadly, my original Eeyore pin fell off my second day in the park and so I had to get a new one. Thankfully they had this adorable baby Eeyore in the Winnie the Pooh Shop has well so his spot didn’t remain empty on my lanyard! 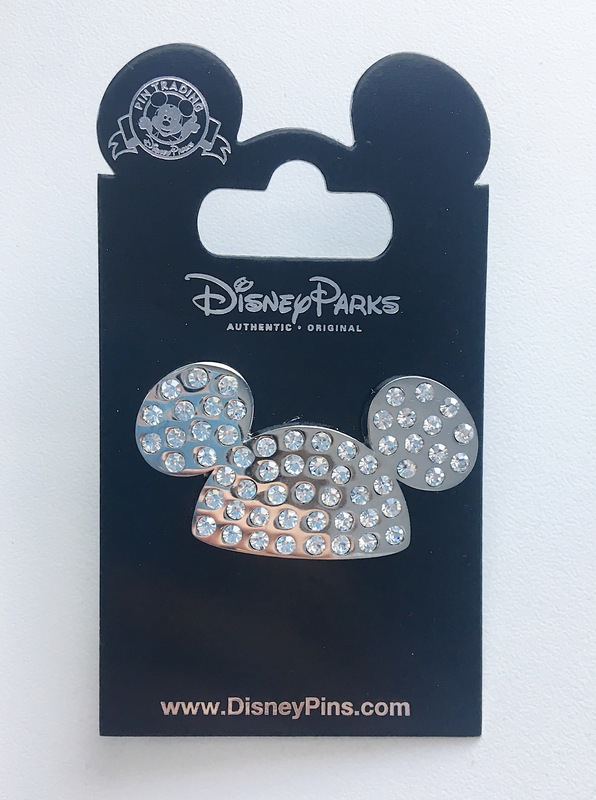 I just had to get this Mickey Ears pin because it looks like my mom and I’s Sparkly Minnie Ears! I thought this would be a super cute way to remember our Ears and our trip! So this set I had been on the hunt for since Valentine’s Day! I know you can only see Princess Leia, but it also came with a Han Solo which I already gave to Sebastian (my boyfriend). 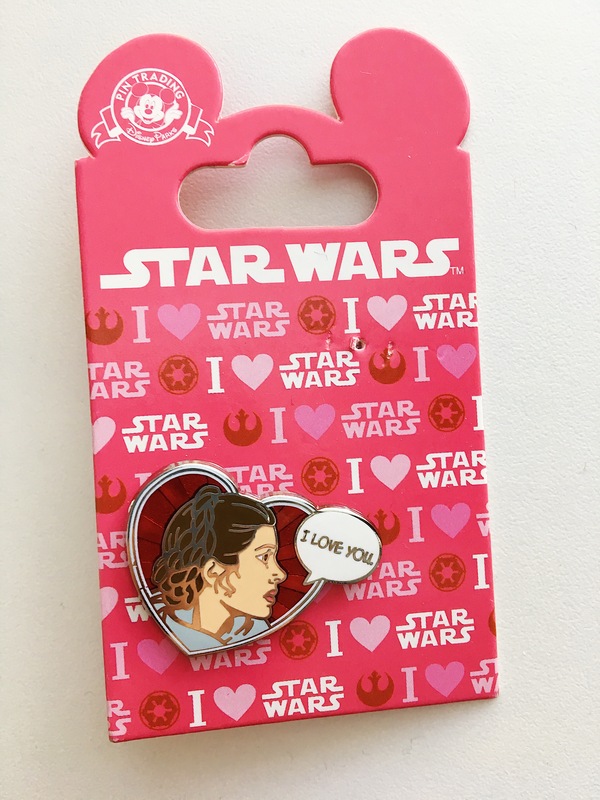 Princess Leia has a little quote bubble saying “I love you” and then Hand Solo’s thought bubble says “I know.” I had been trying to buy this set for Sebastian and I for Valentine’s Day but I lost a bidding war with someone on EBay so sadly I didn’t get it. The Valentine’s Day Star Wars Pin Sets were supposed to be limited edition so I’m sure you can imagine my excitement when I saw this set! In Disney Springs, I also visited the Sephora there and my mom got me this Naked Eyeshadow Palette that I have been dying to have! 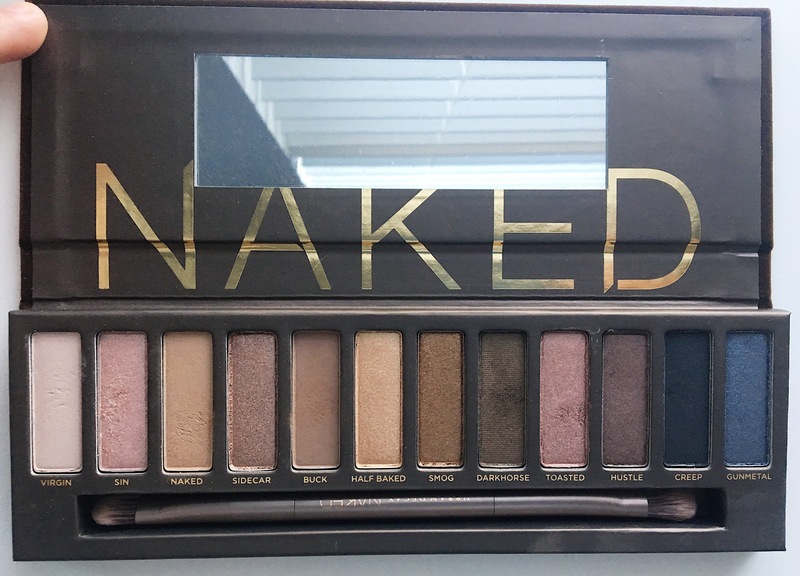 I have already used it multiple times since I got it and I am so in love! I saw these super cute pins at checkout while getting one of my other items and I just had to get them! They were too precious not to have! 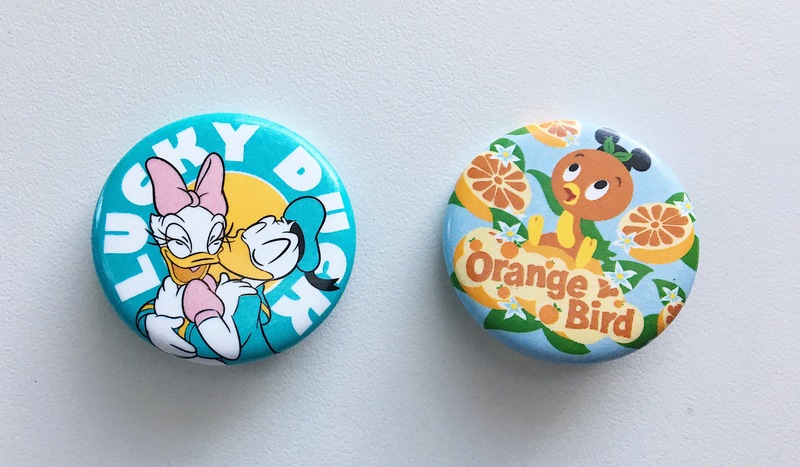 I just love how happy Daisy and Donald are and that Orange Bird has a little Mickey Hat! The last pin pack I got was another Mystery set that we saw in the airport when our flight back to Texas got delayed due to Orlando’s weather. This Mystery pack was all Mickey ear hats and could be any 5 out of the really large assortment! I feel like I got a few of the really interesting ones and then I just loved the groom and Jasmine and Maleficent ones! That was a really long post hahaha! But anyways, I really hope y’all enjoyed this post! I just loved bringing back a little bit of Disney to enjoy back home! If y’all have any questions about any of the items, feel free to comment and I will answer the best I can! Also, please check out the rest of my blog and the Follow tab to keep up with me on my blog’s Instagram and my Pinterest! Stay tuned for more blog’s coming up later this week! Thanks for reading!